We just learned about the Cuttlefish. Another type of cephalopod is the European Squid. 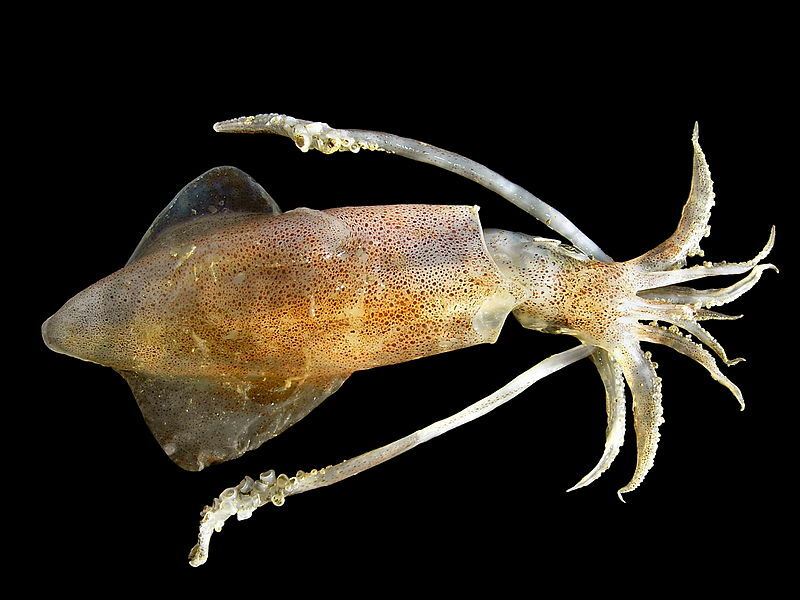 Squids are a lot like the cuttlefish, as they have eight short arms used for swimming and two tentacles used for grabbing their prey. They also have a bone inside their body, kind of like the cuttlebone, but it is called the gladius. They have a large part of their head called a mantle, with fins on the side. Above the mantle is a tail. Below the mantle they have the funnel where they breathe, and their eye. At the bottom is their arms, tentacles and mouth.